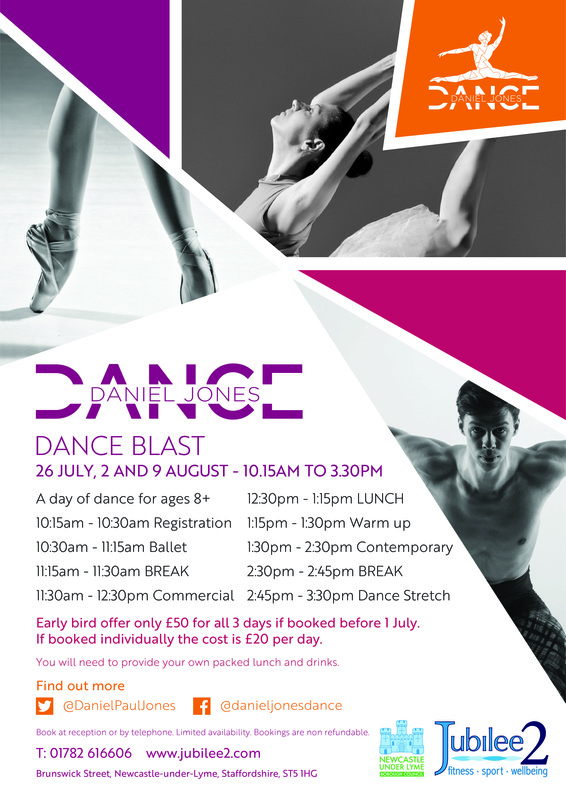 A summer dance class for ages 8+ of any ability. A mixture of Ballet, contemporary and commercial dance at Jubilee2. 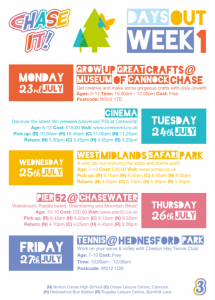 You can find the perfect activity to keep your children entertained over the holidays with Chase It! From football to surfing to pool parties; you can have a whole range of fun over the summer. View all of the activities here or click the image. 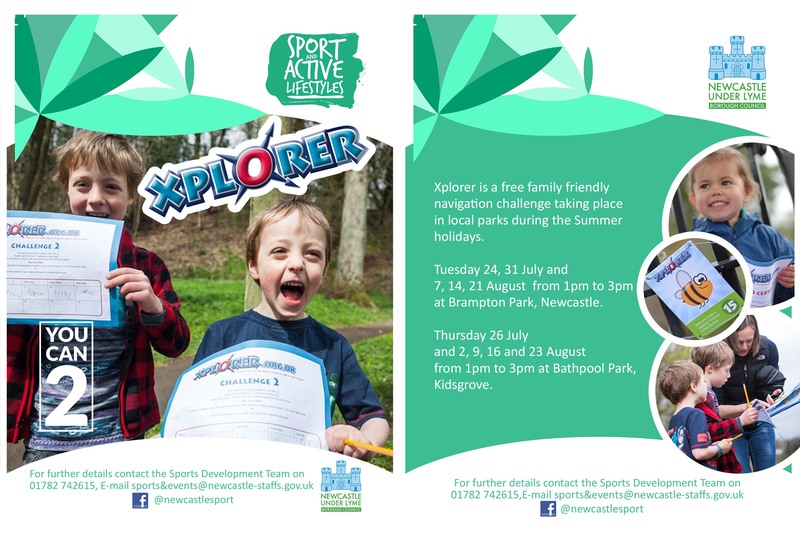 A free navigation challenge taking place in local parks during the Summer holidays. 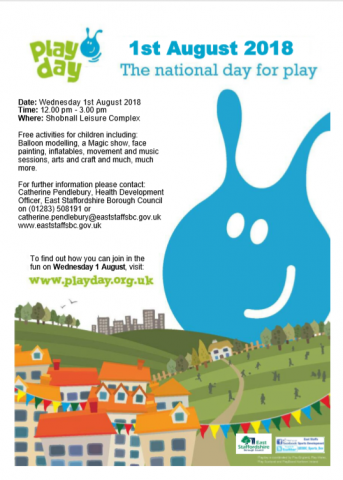 Free activities for children including balloon modelling, a Magic show, face painting, inflatables, movement and music sessions, arts and craft and much more. D.A.S.H is a programme of activities run by East Staffordshire Borough Council, every school holiday, for children of all ages. 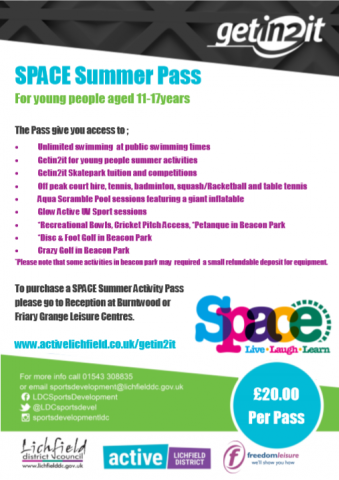 Purchase a DASH Pass for access to over 100 activities this summer holiday, all for just £95. Have a go at a range of activities this school holiday – many sessions free of charge or cost as little as £1! 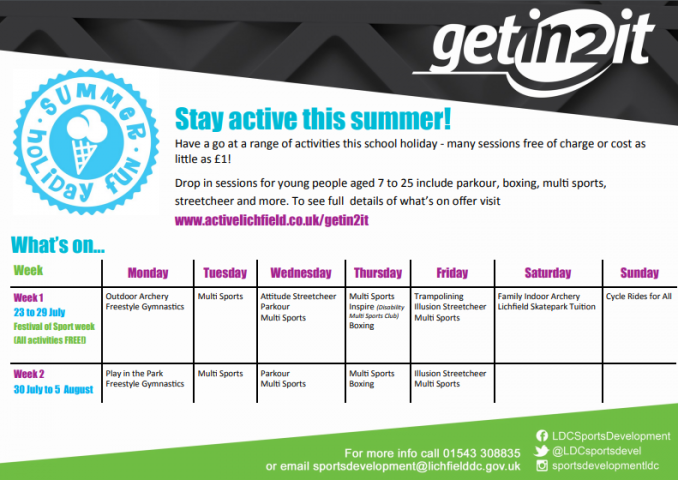 Drop in sessions for young people aged 7 to 25 include parkour, boxing, multi sports, and more. To see full details of what’s on offer visit the website. To purchase a SPACE Summer Activity Pass please go to Reception at Burntwood or Friary Grange Leisure Centre. Launching in Beacon park on Sunday 22nd July, this festival offers a week of free tasters across the district. 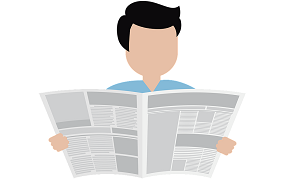 Click on the image below to view the activities. 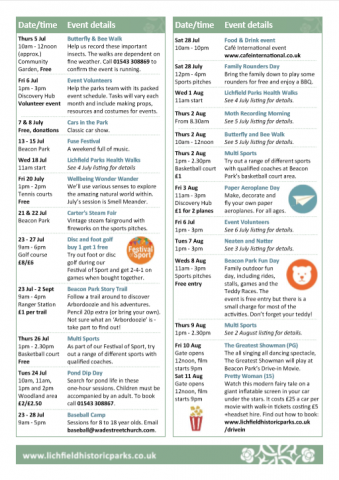 A wide range of activities are coming this summer to Beacon park and surrounding open spaces across the district! 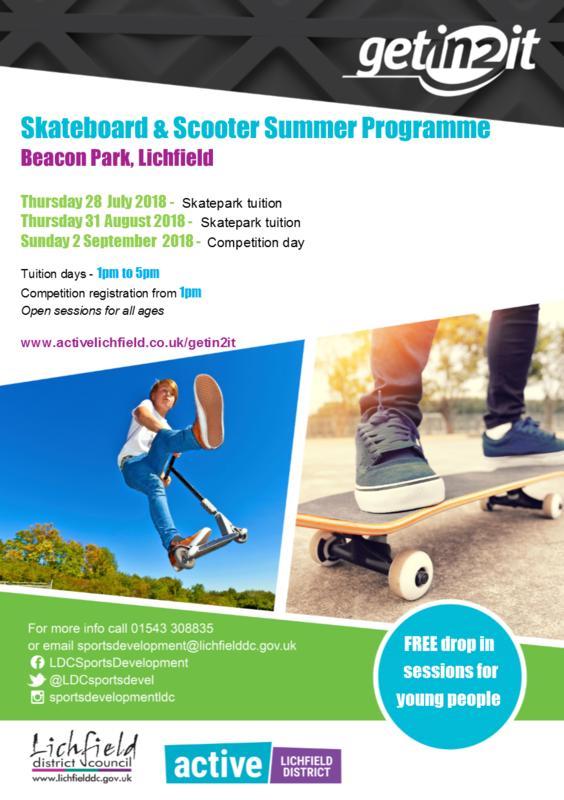 Take part in skateboard or scooter tuition and competitions in Lichfield and Burntwood! 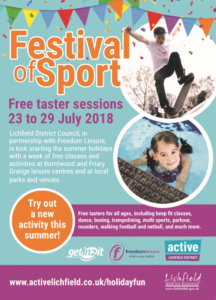 Cheslyn Hay, Codsall and Wombourne leisure centres are providing school holiday camps this Summer and during every school holiday, which are available to children aged 5-12 years old. 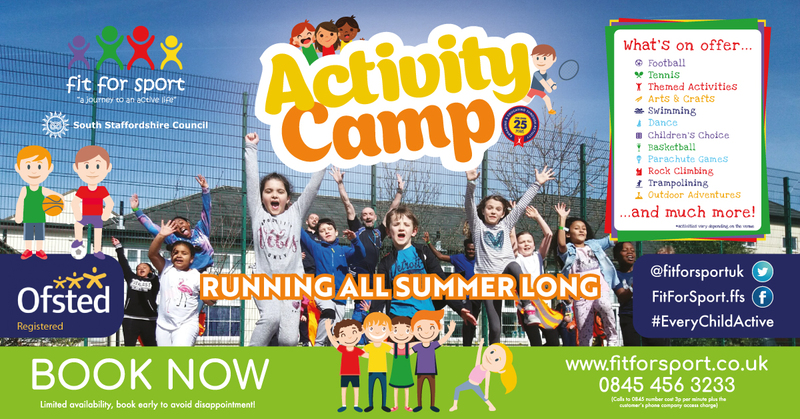 Camps are run in conjunction with one of the UKs leading childcare providers, ‘Fit for Sport’. The camps offer children the opportunity to try different sports and learn new skills with sessions focused on educating children about the importance of being fit and leading a healthy lifestyle. The camps can be booked as half day or full day sessions, with the option of an extended day for working parents. Prices start from £12 per day. This Summer, The Police and Crime Commissioner has provided funding to reduce leisure centre activities for young people aged 10-19 years old. Young people can purchase weekly swim passes at a hugely discounted cost of just £1 per week; The centres are also providing membership passes for people aged 16-19 years offering them access into the gyms, swimming and exercise classes, for just £2 per week. 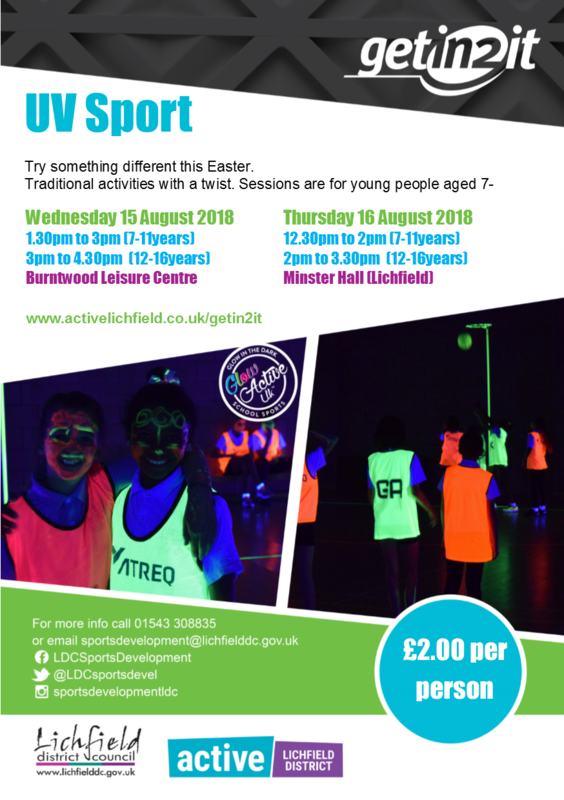 To find out more contact your local South Staffordshire Leisure Centre or visit the website. 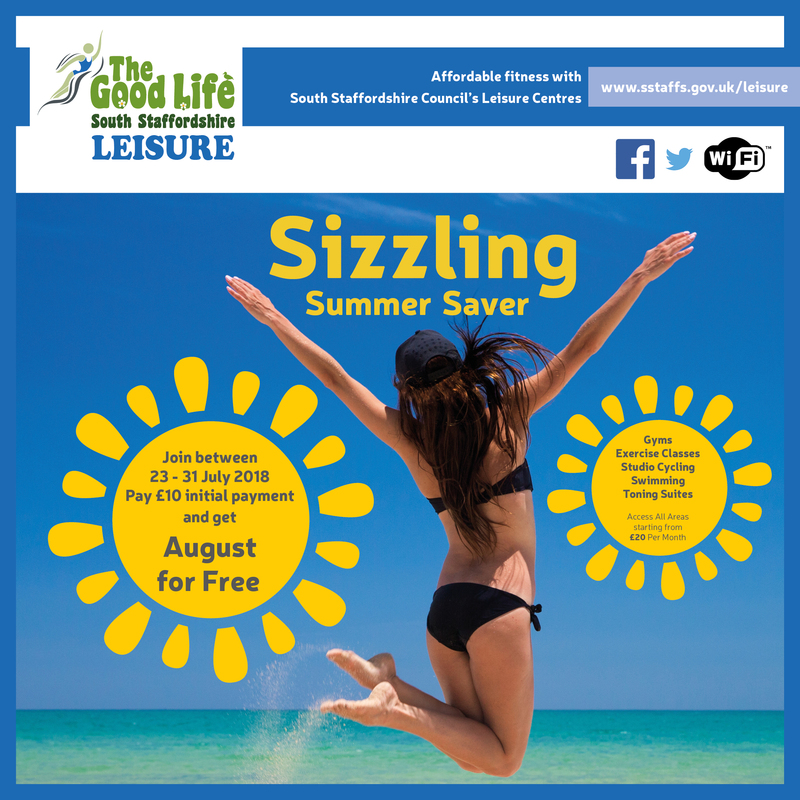 South Staffordshire Council’s leisure centres are giving people the chance to get fit over the summer without the added cost. 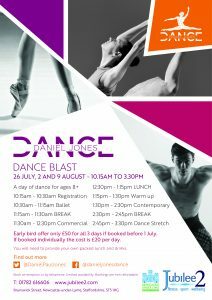 Join between 23-31 July and pay an initial payment of just £10, then nothing more until September; giving people August for free. The leisure centres offer a great range of facilities including top quality gyms, a huge range of exercise classes, studio cycling, swimming and toning suites. People can access all of the facilities from as little as £20 per month.